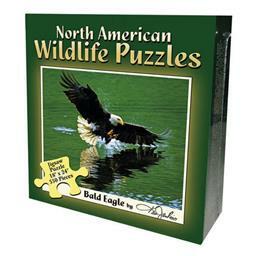 North American Wildlife Jigsaw Puzzle - Bald Eagle. Natureâ€™s Wildlife photographed in their natural habitat by nationally renowned photographer Ken Jenkins. 18 x 24 inches completed 550 pieces.